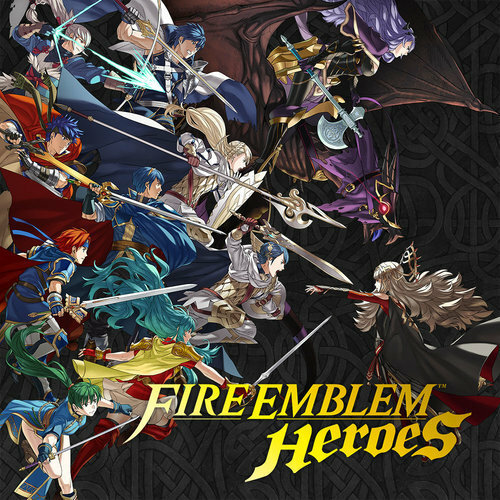 A fanfub of the popular mobile game, Fire Emblem Heroes. This fandub will include the chapters of the main story, paralouges and summons all fandubbed. And for the first time in all my fandubs - Battles WILL be dubbed too! With the game itself being ongoing, with more characters being added, this casting call will also be regularly updated with characters too! Auditions are also being held on Behind The Voice Actors too! 1. You don't have to sound like the English VA - It's a fandub, run free and give the character's the voice YOU think they should have...but if you can do a pretty solid impression by all means show it off! I will be casting on the voice that I think best suits the character. 2. Have 'decent' mic quality. You don't have to have a super expensive mic, but at the same time please have one that doesn't have too much background noise. And try not to pop too much! 3. Have an email address! Email is my primary method of communication. If you are cast please have one on hand! 4. 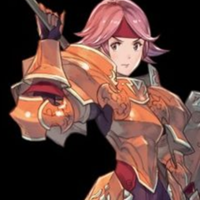 VA's already cast as characters have the option to reprise their roles - as I'm doing a Fire Emblem Fates fandub, any character from Fates who appears in Heroes will most likely be reprised by the VA voicing them in Fates. 5. Have fun! The most important part of this project is to have fun and enjoy it! But make sure to put as much energy into your auditions! 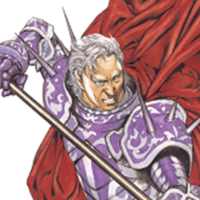 Jagen has been portrayed to be an individual who is fiercely patriotic to the country whom he has pledged his allegiance to (Altea), participating in many battles under its banner for decades. 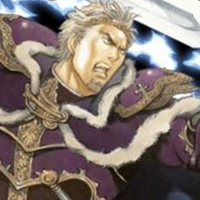 His devotion to his country is especially evident in the Prologue of Shadow Dragon, where he is one of few units who can be selected to act as the decoy to ensure that Marth and the rest of his retainers succeed in fleeing Altea. 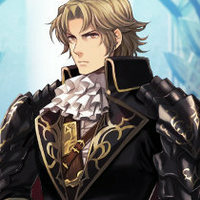 Should he be chosen, Jagen's parting words are ones that are gallantly courageous, where he, in spite of the dire state of his situation, ironically muses over the suitability of his age being a deciding factor in him being chosen as the sacrifice. Hmph. It would appear I'm still good for something. You're young, but I see wisdom in your eyes. I'm not good at making conversation. Merric is portrayed as an amicable character who delights in forming camaraderies with the people whom he encounters. This can clearly be observed following Linde's enlistment into the Archanean League in Chapter 11 of Shadow Dragon, where he, assigned the task of looking after her, is quick to form a strong rapport with her, immediately engaging her in a conversation that involves the discussion of various topics that encompass his time as a student in Khadein and the superiority of mages. His relationship with Arlen also proves as much; throughout the interactions that both characters share, it is evident that in spite of the Arlen's persistence in maintaining a detached, aloof disposition in response to Merric's friendly advances, Merric is unfazed, never giving up in strengthening the platonic bond that they share. I've always been physically weak. But I want to protect...people precious to me, so I studied magic. I've known Prince Marth and his sister Princess Elice for many years. They are truly good people. 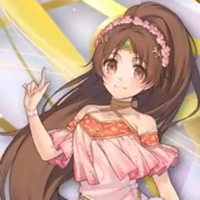 Linde is the daughter of Miloah, one of Gotoh's best students along with Gharnef, thus enabling her to use the powerful Aura spell. She is targeted by Gharnef's men, so she disguises herself as a boy, but in turn, she is captured and brought to a slave market. 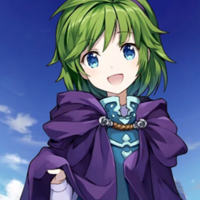 Marth frees Linde, and she decides to join him to fight and avenge her murdered father. She later moves to Pales and becomes Nyna's apprentice and most trusted individual. "Today is turning out pretty nicely!" "I'm a little shy with crowds, but I'm not embarrassed by anything I've done." 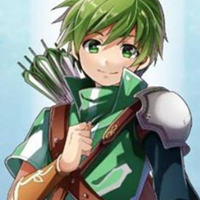 Gordin is depicted to be lacking in self-confidence, causing him to hesitate before releasing each arrow, a fact that cripplingly hampers his marksmanship. These conversations also reveal him to be a humble individual, as he, in spite of eventually beating his master in practice shooting, continues to seek his continued support and guidance. 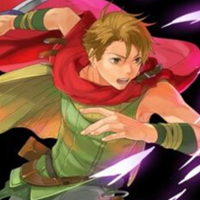 Gordin's lack of self-confidence is also explicated through his interactions with the Avatar, with whom he expresses an insecurity over his juvenile bearing, longing to establish a dignified, authoritative presence like Jagen. 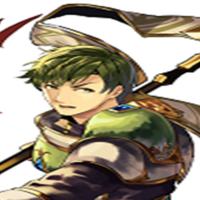 "I'm Gordin—an archer in the service of the Altean knights. And happy to be of help to you too!" "I can hardly wait to see how well I can shoot now!" Cain is passionately loyal to the liege that he serves, willing to overlook his personal welfare in order to fulfill his duties. This is especially evidenced through his firmly sticking to the final task assigned to him by the late King Cornelius, in spite of the grievous wounds that he had sustained in battle. "Why not train with me sometime? Not everyone knows this, but I used to teach the younger knights." "I must train harder! I will train harder!" Abel is devoutly loyal to the liege that he serves, willing to sacrifice himself in the line of duty. This does not, however, deter him from attaining emotional fulfilment, as he opts to wed Est after the War of Darkness instead of continuing to serve Marth as a knight. "I'm curious about the shops in town. Would you join me to visit them sometime?" "I feel that I've grown soft since leaving the knights." 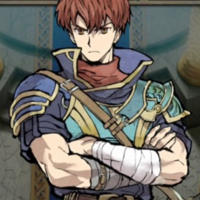 Roy is an upstanding, thoughtful, and idealistic young man who repeatedly shows a desire to help and support others, shown in his interaction with Guinivere and his friend since youth, Lilina. 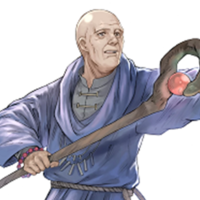 While he would prefer to avoid blood-shed – a fact reflected in his interaction with Guinivere and his tactical efforts to conserve his soldiers – he maintains a strong resolve to see peace return to Elibe. Unlike most young protagonists, however, he is perceptive and cunning for his age – he tricks a traitorous Lycian vassal into exposing himself, deciphers that the bard Elffin is more than he seems (though he does not pursue the truth against Elffin's will), and often reacts calmly and tactically to disturbing news. He has red hair and blue eyes. 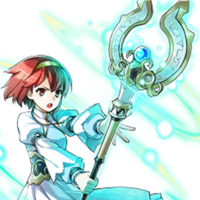 In a support conversation between Lillina and Cecilia, it is revealed that Roy has an inferiority complex and the reason why he picked up a sword despite his teacher using magic. "There are so many amazing Heroes to be found here. I'll learn so much from all of them." "For those I must protect. I cannot lose." Clarine is an arrogant and very pampered girl who often looks down at others because of her status. However, this comes more from inexperience and childishness, rather than outright malice. 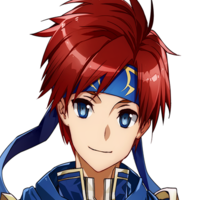 She is close to her older brother, Klein, whom she looks up to and considers very attractive. "I am infinitely busy, of course, but I always have time for you. But, please, do me a favour and make it quick." "Now, just who do you think you are getting my attention that way?" Cecilia is characterized by a calm and sensible temperament, though she is also a strong-minded individual with firm convictions. As an Etrurian general, she has strong leadership qualities and a keen mind for strategies. She is willing to follow her beliefs over her obligations unlike Percival and Douglas; as a result, she is the only general who rebels against the coup d'état in order to free her country from Bern's control rather than prioritizing the king's personal safety alone. "Commander Anna seems to be a fine instructor. My methods are different, but I believe we will get along well." "Serving as a tactician here must be quite taxing. If ever a cup of tea would help, I would like to join you." "You can't do anything without power, including...protect those whom you must protect. So that's why I must master the dark arts at any cost." "You push yourself way too hard, and for what? Other people?" A cheerful and very energetic voice. 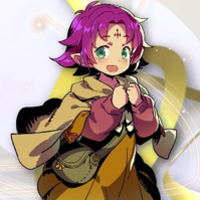 Fae can be found in the house in Chapter 22 of Eliwood's story or Chapter 23 of Hector's story in Fire Emblem: The Blazing Blade, making a brief cameo. She is alone there watching the house. She reveals that there is treasure buried in the sand near the bones and implies that she encountered Pent, telling him about the treasure. Her name is only mentioned if Hawkeye enters the house, in which case, she will tease him about his habit of saying "Is that so?" and reveal information about the buried items. "You're going to summon more friends here for me to play with, right? Lots and lots, I hope"
"I wanna be all grown up!" 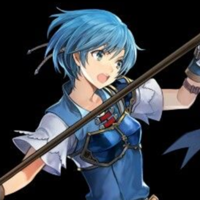 Shanna is a Pegasus Knight from Ilia and the younger sister of Juno and Thea. While her sisters are full-fledged Pegasus Knights, she is still in training. She joined Dieck's mercenary crew as part of her training. She used to address Dieck as "Chief", but he did not like that. She thinks that Lot has a crush on her, although he only cares about her as a little sister. Because of this, she calls him "Big Brother". She is also kinder to Lot than she is to Wade because she fights with the latter in their supports conversations. "Heyyy, it's the chief! You're the chief, right? Right." "Hope you're not skipping meals, chief! Bad idea! 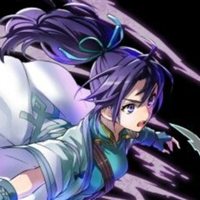 *giggles"
Fir works to follow in the footsteps of her late mother and struggles to improve her skills in swordsmanship until she achieves the title of Swordmaster. 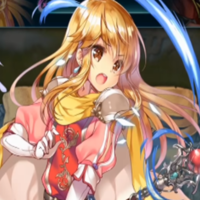 As the rebellion against Lilina and Hector occurs in Ostia, she is oblivious to the turmoil while she trains with Noah in an arena. It is not until Chapter 9 that she joins Roy's party, later learning through support conversations that Noah has been in love with her since he first saw her. "You know, I'm not really the sort that's good with teasing." "Everywhere I turn here... More Heroes... More legends... I want to spar with them all!" 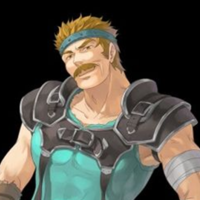 In The Blazing Blade, Bartre is shown to be very rash and reckless, but good-hearted. He also shows a lack of education; for example, he says "Hard words make my head hurt!" in a support conversation with Canas, and showing Raven a family tree so illegible that Raven could not even read it. 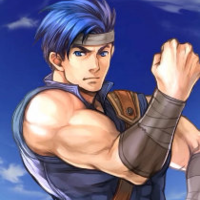 Bartre often encourages rigorous exercise, and will encourage people to hit him as hard as they can. In The Binding Blade, Bartre still shows rash and reckless behavior, but age has given him more wisdom, as he thinks much more, and shows more control. However, he can still show his warrior's spirit, like in his support conversation with Gonzalez. "Say no more, that look in your eye says it all. You're a fighter!" "Fir? Where are you, Daughter? CAN YOU HEAR ME? FIRRRRRRRR?" 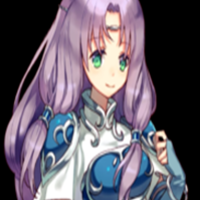 Gwendolyn is a knight of Ostia and is the younger sister of Bors. 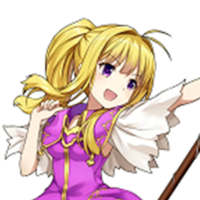 She first appears on turn 5 of Chapter 8 of The Binding Blade, along with Ogier and Barthe, in the northwest corner of the castle. The group assists the Lycia Alliance Army in retaking Castle Ostia. She then joins Roy's group for the rest of his journey. It is notable she can perform a Triangle Attack with Bors and Barthe. "Wearing heavy armour like this takes daily practice. It's harder than you think, just walking around." "Such power! Now you can rely on me!" "A knight must never fall!" 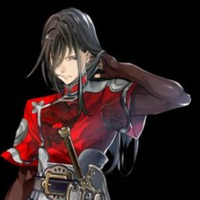 Cold, calm and aloof, Navarre is depicted as the stereotypical lone wolf, where he has the tendency to work alone and entirely out of his own personal motivations. He has not, however, completely abandon his humanity, a fact that is evidenced through his resolve to not reign harm upon both women and children and instead seek to protect them. 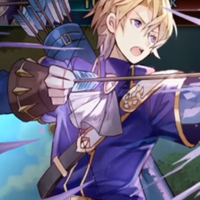 His actions in all the games that he appears in prove as much; In Shadow Dragon and the Blade of Light, he defects to Marth's army on Caeda's behest due to not wanting to harm her; in Book 2 of Mystery of the Emblem, he defects from Dahl's thief band to protect Phina; in Archanea Saga, he protects Lena from a bandit and lends his blade to her cause. "I'll turn no blade of mine on a woman. If you're willing to pay for my services with your life, then consider yourself the high bidder. My sword is yours." "There's no turning back for me now. Not even your 'God' can save my soul, priestess." "I applaud your constant patrols. If I could simply keep up, I would join you, but alas…"
"Here to do what I can." Maria has a cheerful and optimistic personality. 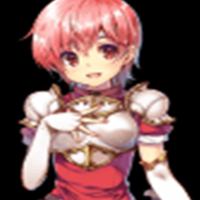 She loves her siblings, and even willingly becomes a hostage for Michalis. 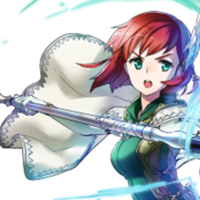 Maria is new to the battlefield, and it is apparent through both Minerva's concern for her and Michalis' shock at entering combat with Minerva. Her determination is shown when she states that she wants to become stronger so she will not be a burden, as she strives to be helpful. Maria also desires to heal others and is quite eager to once she is freed and joins the army. "Will you go on a walk with me? Anna says I'm too young to go alone." "This castle is big! We should play hide-and-seek." Barst is a rather indecisive individual, unable to craft solid directions to follow in his life; the end of the War of Darkness sees him constantly switching from one occupation to another rather rapidly, never seeming to gain any satisfaction from any of them. Through his recruitment conversations with either Bord or Cord in Mystery of the Emblem, his indecisiveness can be attributed to his dislike of the chaos of fighting, instead desiring to lead a peaceful life. "Wanna know something? Long time ago, I was a pirate for awhile." Jeorge is characterized by his patriotic devotion to his homeland, the kingdom of Archanea. Throughout the two wars, his convictions stay steadfast and focused wholly on serving the best interests of Princess Nyna and his country. Unlike his compatriot Astram however, Jeorge seems to be more sensible and realistic about it since he wisely foresees Archanea’s demise when Hardin’s reign turns oppressive. His desire to bring back the kingdom of old ultimately causes him to turn against his country and join Marth’s campaign early on, whereas Astram continues to blindly serve the corrupted Hardin for a while longer, mistakenly believing that he is doing it for Nyna’s sake. "Any nonsense you've heard about my prowess is spread by those who want to bring fame to my family." "Curious about me? What would you like to know?" "I won't miss, I'm afraid." 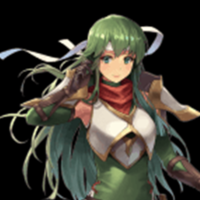 Palla is the older sister of Catria and Est, and raised them after their parents died. Loyal to Princess Minerva of Macedon, she was part of the Whitewings, an elite Pegasus squad from Macedon. The Whitewings wanted to join the Altean army alongside Minerva, but when Prince Michalis heard this, he locked his and Minerva's younger sister Maria, in jail to prevent Minerva and the sisters from turning on him. When Marth eventually rescued Maria, Palla and her sister Catria set off to look for Marth and Minerva. When they found them, they joined the Altean army. 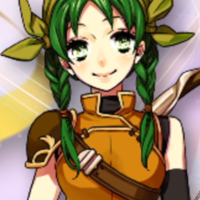 During the war, Palla developed a crush on Abel. "Thank you for all you do. When you've finished checking on everyone, please do get some rest." "Uh?! Ohh, you startled me, you trickster you." 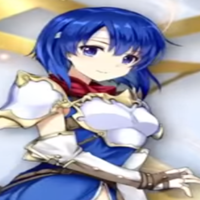 Catria is a member of the Whitewings, a Macedonian squad of pegasus knights commanded by Princess Minerva. When Minerva's younger sister, Maria, is held in captivity to blackmail the elder princess into fighting against the Archanean League, Catria and her sisters are forced to fight too. However, as Maria is rescued by Prince Marth, they become free to join his army and fight alongside Minerva again. "Ah! I mean, uh, what's going on?" "Thank you for having me join you. It means a lot." "Watch my sisters and me next battle—we're pretty amazing!" "People say I act childish, but I'm basically grown-up already!" Matthew's demeanour is cheerful and optimistic at best, rarely ever set back by the current situations at hand. He usually tends to give sarcastic and joyful responses to most threats and conversations thrown at him, though he has his slip ups in personality. He doesn't give an effort to hide the annoyance and grief he is caused because of Serra's presence. He also is aggressive and overreacts to Jaffar admitting the murder of Leila, even attempting to kill the assassin and threatening Jaffar with the life of Nino before he eased his grief, knowing that Leila wouldn't enjoy having her death avenged in such a way. Despite his happy outlook on life, he can be serious and solemn on matters, such as Leila's funeral and reporting Lundgren's influence on Caelin to Hector. "Want to know the real Matthew? Ha! Let's take it slow. I'll give you half truths instead of lies." "I sense no enemies here, not even in the shadows." Due to his past with Ostia, Raven becomes distant and anti-social, coldly reminding Priscilla that he is now Raven, not Lord Raymond. Raven seems to despise everyone at first, though it is possible for him to become quite close to Rebecca, Lucius and Wil through support conversations. In his conversations with Wil, he expresses dislike for Wil's new habit of referring to him as "Rave", "Senior" , and "Sir". In his conversations with Rebecca, he repairs her bowstring and she repays him by cooking him a meal. 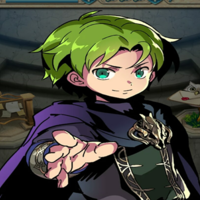 Raven's conversations with Lucius also lead to them growing very close, and he gains a more personable outlook on life, giving up on his revenge plot against Hector. He also converses with Bartre, who constantly challenges him to "duels of strength", which he finds bothersome and, more often than not, tries to avoid completely. 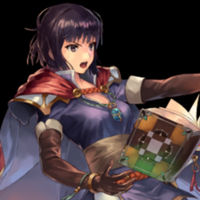 Bartre also shows Raven his family tree after Raven teaches him writing. Raven tells Bartre to rewrite it, because he cannot read it. "My business here is with Summoner. That you? I'm here on behalf of someone else." "I used to rely on a sword, but the stronger I get, I think the axe suits me better." Nino, despite being neglected and hated by her foster mother on several occasions, has retained a sense of loving optimism and deep caring to those in need. She rarely receives compliments and treats them and those who give them with great respect. Despite her anger toward Sonia, she is hesitant to kill her, as she is with her stepbrothers. She is also very sensitive, as seen from her A support with Jaffar, where she quickly overreacts. "What do you need? To talk? I'm always up for that!" "I hope you'll read books to me a lot. I'm trying to learn how to read, so every little bit helps!" "I just don't have the words to thank you for all you do, but... Um, well...? Thank you, I guess." "I say sorry a lot, and I know that can get on people's nerves. So, uh... sorry?" Hawkeye is best described as quiet and introverted, speaking little to most of his companions. 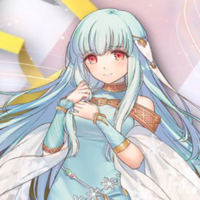 To Pent and Louise, he speaks his mind more often, but is usually reserved from most of his companions, an exception being Ninian, who resembled his daughter slightly. His personality is highly comparable to that of Volug's, both being cold, emotionless, vicious desert warriors, dedicated to duty, and rarely speaking to those that they do not remotely tolerate, though in Hawkeye's case he is also very gentle and kind to such person. "I am grateful for what you do. That is all." "You wish to get my attention? Friend, you have it"
"I know nothing of fear!" "I will stand as your shield!" "The one thing I cannot do is betray my motherland." Michalis murders his own father, King Osmond of Macedon, because he believes that he was a weak ruler and allowed Archanea to push them around. 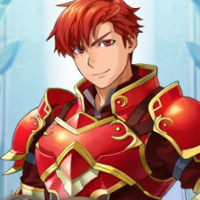 It is also implied that Gharnef might have played off Michalis's ambitions. He is eager to prove that Macedon is the strongest nation on the continent of Archanea and has the right to conquer every other country, thus he agreed to form an alliance with the Dolhr Empire. Noticing the possibility of conflict with Minerva, he manipulates Maria into being captured by Grust, which uses her as a hostage against her older sister. However, he feels remorse for this, despite his lack of such for killing his father. 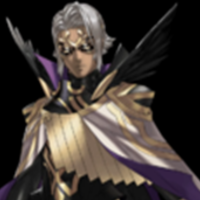 He originally plans to fight against Dolhr once Macedon becomes the most powerful nation, but he loses sight of this goal the longer that he works with them. 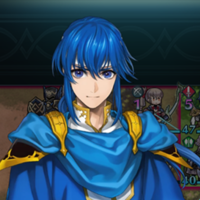 When Matthis first meets Marth in Shadow Dragon, he initially believes that Marth will kill him because Michalis "puts the most scared-looking soldiers on the front line for a reason" and kills those who defy him. 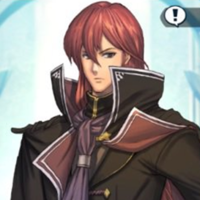 However, Michalis is tolerant with Gotoh, who continues to warn him that he is walking on the path of destruction. He finally faces Minerva in a battle that results in him becoming badly wounded and being presumed to have died. "You, Summoner! You think me your puppet? You will never control me. I will defy you at every turn." "I intend to conquer the worlds. All of them." 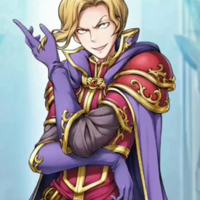 Narcian is a boss character in Fire Emblem: The Binding Blade. He is one of the Three Dragon Generals of Bern, and an extremely ambitious officer. He was entrusted with the invasion of Lycia, and his lieutenant is Flaer. He is responsible for many actions during Roy's journey through Lycia and the Western Isles. 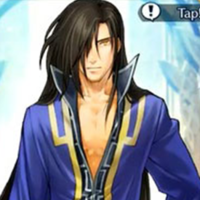 He is a very narcissistic person, has a tendency to bear grudges, and will not hesitate to let his underlings die for him so that he can live; for example, his lieutenant Flaer was killed while holding Cecilia captive. Eventually, due to his constant failings, Zephiel demotes him, replacing him with Galle. He is given one last chance to redeem himself in the defense of Etruria's palace, but he fails and is killed during the battle. "What a splendid castle. Strong. Stylish. Why, it's almost my equal in fortitude and magnificence." "Well, well, well—you must be Summoner. The pleasure is entirely yours." Zephiel started out as an idealistic and talented youth wanting nothing more than his parents to reconcile and peace in the world. Zephiel would later become twisted from his father's abuse and his mother's unintentional abuse of him. It is said by Guinivere that Zephiel was never the same after his father's attempted poisoning of him and subsequent death by Zephiel. "What could YOU possibly want from ME?" "Sometimes I see myself in you, in days when I was... younger." Ursula is an extremely devoted member of the Black Fang, seen as a cold, heartless assassin to her targets. She never hesitates to coldly remind those under her the punishment for failure, and expresses little concern for any members of the Black Fang, with the exception of Sonia, whom she worships (her last words, in example, are a last request to give Sonia a report about the situation in the Bern Manse). She is also rather honorable, accepting the Fang's Judgment for failing to accomplish her target should she survive Battle Before Dawn. She expresses deep dislike of Vaida, most likely because of her treachery toward Bern, and possible fear of losing her place. "The light of day is ghastly. Don't you agree?" "I live for perfection. This...won't do." Not much is known about the mysterious man except that he fights on the side of the Empire for his own personal reasons. However, he does aid the Order of Heroes as he warns them in Chapter 9 about Veronica's attack on their summoning grounds. He also seems to know something about Alfonse's missing friend, Zacharias, but refuses to say anything more before disappearing. Through the game's data, the Mysterious Man's name appears as Bruno. "I have heard from Heroes in the World of Awakening that you are searching for someone, is that true?" "Oh really? And I suppose you want us to close the gateways too? Hmph. In your dreams." 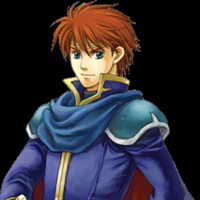 Father of Roy, Eliwood was born of the noble house of Pherae; his father was Lord Elbert and his mother was Lady Eleanora. His childhood best friend was Hector, the younger brother of Uther, the Marquess Ostia. These two attended school together and, as they grew older, their friendship grew as well. "If the weather is pleasant today, it might be nice if you and I head off on a stroll." "Thank you for your guidance in all matters. It gives each and every one of us the confidence to fight." "Great! Now I can contribute even better!" Ephraim is engaged in guerrilla war against Grado in an attempt to divert Grado troops from their invasion into Renais, concurrently with his father's death. 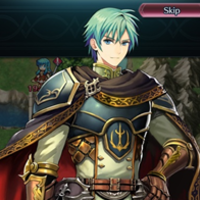 Blaming himself for his inability to aid his father in his time of need, Ephraim journeys back towards his homeland in hopes of finding his sister, Eirika, who has now disappeared in the wake of the invasion. He also wants to find Prince Lyon to unravel the mystery of Grado's sudden invasion. Ephraim is passionate and headstrong, and well-liked for his candid, direct manner. After Jehanna's Sacred Stone is destroyed, Eirika joins him to go to Renais castle to save their country and its Sacred Stone. 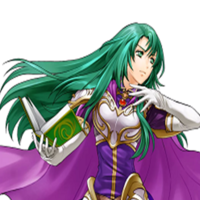 Orson, the traitor, is in charge of Renais castle. After they take it back, it is revealed that Lyon had raised Orson's wife back from the dead, and he was happy, if consumed by madness. Ephraim then receives the Sacred Stone along with Siegmund, and Eirika receives Sieglinde. Ephraim, along with Eirika and company, ultimately defeats the Demon King, afterwards he became King of Renais and helps to fix up Magvel. "The royalty of other worlds seem to prefer the sword. I like the lance. Lances have the edge over swords. You know, I once had ambitions to be the greatest spearman on Magvel, the continent I call home." "You know, I like you, and I feel I can trust you completely"
Seliph was born in Agusty during the Grannvale Kingdom's occupation of Agustria, Chagall's uprising in Madino and Silvail. Deirdre made the decision to leave Agusty to join her husband after Madino Castle was conquered. She was captured by Manfroy, robbing Seliph of his mother for the rest of his life. Later on in Chapter 5, after the subjugation of Lubeck in Silesse, Oifey and Shannan were entrusted with the task of bringing Seliph to Isaach, which was considered a safe haven at the time. "Do you fear war? To be honest, I am often scared of it, to the extent that it keeps me up at night." "To save everyone that I can, I must train hard to become every bit as strong as my father was." "Ah. Sorry to be a bother, but I've found myself here and... Where am I exactly." "Mother... You always watch over me." 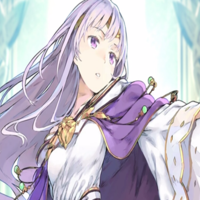 Lachesis is a sarcastic and sharp-tongued individual with a strong will. She also has a strong sense of pride and prefers to make her own choices, rather than letting others decide for her. She seems to be more willing to open up to others if they personally know Eldigan, as seen by her changed behavior towards Beowolf once he says that he is his friend. She does not consider Chagall to be her king and despises him. She declares that she would rather die than marry Elliot, who is infuriated by her rejection. "You mustn't ever perish. I have suffered far too much loss as it is. I would wither away." "No less than one expected. And yet, no more either." 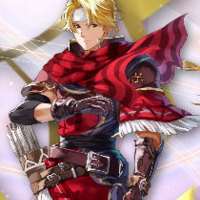 Eldigan is the older half-brother of Lachesis, and is a close friend to Sigurd and Quan, both of whom he first met at Belhalla's military academy. 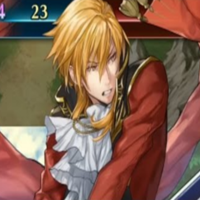 Eldigan is extremely loyal to the Agustrian royal family, as his ancestors inadvertently inherited Hezul's Holy Blood through Hezul's daughter (who was married off to Nordion). They thus swore to utilize the powers of the Mystletainn to protect the royal family. "I am ever steeled for duty. But for conversation? A bit wooden." "What is chivalry but taking a friend's cause to heart?" 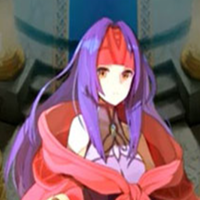 Reinhardt first appears at Ishtar's side when she arrives in Leonster to ask Bishop Saias to aid Prince Julius, who has fallen ill. 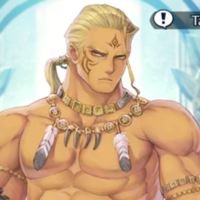 In Chapter 21x, Julius reveals that he has noticed Reinhardt's romantic feelings for Ishtar, and out of jealousy, he orders her to remove him from his position. In the following chapter, Reinhardt speaks with Saias, who mentions Olwen's defection to Leif's army. He is certain that Olwen is being manipulated until Saias states that she has found her own path in life. Afterwards, he leads the Gelben Ritter into a battle against the Liberation Army at the Great River of Thracia. "Tell me. What are your orders?" "Better than expected. I should always focus this much." 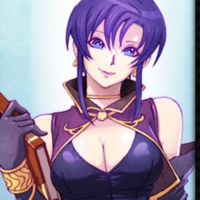 Olwen makes her first appearance in Chapter 10 of Thracia 776 when she and her subordinate, Fred, are working on surveillance duty at Noel Canyon. In their scene with Largo, it is revealed that Olwen has a strong dislike for Kempf, who despises her out of envy towards Reinhardt. When Noel Canyon is attacked by Leif's army, Olwen and Fred fight against them for a short while, but eventually decide to leave in order to ask Kempf for reinforcements. At the start of Chapter 11, Olwen requests reinforcements from Kempf, who points out her failure to identify the enemy army that attacked Noel Canyon. Once Kempf openly shows his disregard for Largo's life, she speaks out against him in shock. 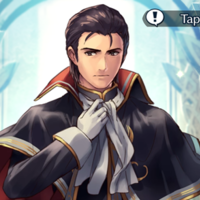 After he taunts her and claims that Reinhardt's greatest skill is seducing women, Olwen attacks Kempf out of anger, causing him to label her as a traitor. Following her imprisonment in Dandrum Fortress, Kempf reveals that he intentionally provoked her in hopes of removing Reinhardt from his position. He also uses Olwen as a hostage to force Fred to fight against Leif's army to the death. "Aaah! Ha ha! I scare easily, I guess!" "What great fortune! How astonishing." "I'll protect all who need it!" 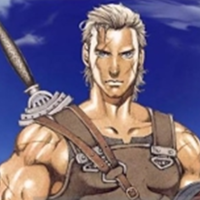 Klein is the leader of a mercenary group from Etruria. He hired Thea and her squad of pegasus knights. His troop is stationed in the Western Isles when Roy's army arrives there. Klein receives orders to enter a battle against Roy to protect the villagers. However, he is persuaded to switch sides by either Roy or Clarine, and then convinces Thea to do the same. He is very fond of his younger sister, but still considers her to be young and inexperienced, and does not hesitate to scold her when he thinks that it is needed. 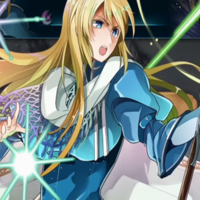 After the war, Klein becomes an ambassador of Etruria. "Some call me the Archer General, but I feel I can serve a kingdom better as an administrator than a general." "I'm also glad to handle some tasks for you at the castle. Your burden is heavy. I'm glad to bear some of it." Sanaki is very concerned about manners, and is often put off by Ike's lack of respect in his speech. However, she appears to be very respectful to Laguz, unlike most of the Begnion nobility who disrespect the Laguz and call them sub-human. She has a very close relationship with her prime minister, Sephiran, the Duke of Persis. "Power can cast shadows, as it did over the senate in my realm. The prince and princess here, however, remain radiant. May they stay that way forever." "I have an older sister who I didn't know about for years. But she has become so precious to me." "What an exceptional individual you are!" "Was that an acceptable result? I hope so!" Lucius is very kind and gentle to the other characters, often expressing the faith of Saint Elimine. He almost never conveys anger towards any of them. This includes aggressive and violent people such as Karel, if he interacts with him in their Support Conversation. Likewise, he tries to help others he deems to be suffering, and sometimes at the expense of his own health; Lucius suffers from a spiritual illness, which afflicts him when he offers relief to people that are emotionally tormented. This makes Raven no exception, who Lucius tries to turn away from blindly taking revenge on Ostia for the destruction of House Cornwell. Lucius' tenderness also seems to extend to those who have also caused him grief. He is quick to forgive Renault for the murder of his father, and empathizes with his regret. However, Lucius can also be very outspoken and stubborn. He refuses to withdraw when Raven tells him to stop following him and leave the battlefield. Similarly, he does not stop to badger his friend about his grudge against Ostia. Raven remarks in their A Support he does not want to marry, because Lucius jabbers enough at him. "If ever your mind is troubled, please, speak with me." "Sorry... Merely a moment...of weakness." A daughter of a Pheraean village chieftain, Rebecca is tomboyish, helpful, bright and enjoys cooking. She joins Eliwood's group to search for her missing brother Dan, through support conversations it is hinted that he is actually Dart, Captain Fargus' most trusted mate. He left her, along with their childhood friend Wil, on a journey 5 years ago, and has been missing ever since. She later becomes a retainer and nanny in the Pheraean court. 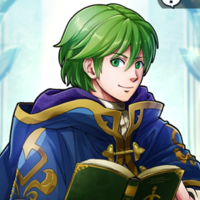 If Rebecca and either Wil, Lowen, or Sain get an A level support, there will be an alternate ending where she and one of them get married and have a child together by the name of Wolt. "You need me for anything, just call 'er and I'll come running." "Check my bow, and string. Yep! All in good shape." He lives only to find challengers worthy of his blade and will kill opponents in battle without remorse or hesitation. To obtain the infamous Wo Dao, he murdered his entire family, with the exception of his sister, whom he saw as no threat at the time. His feats — including fighting armies alone and slaying a wizard that could freeze blood in a person's veins and killing a stone giant who was three times the size of a regular man — have earned him infamy across Elibe, as well as the title of "Sword Demon", revealed in a Support conversation with Dart. He is Karla's older brother and also taught Guy swordplay. "Point me towards a worthy opponent." "I have taken up my family's blade, Which means that I am now one with my weapon." "Humans and dragons, will they ever live in harmony?" "Does this please you? Then I am satisfied." 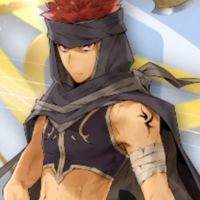 Jaffar is a playable character from Fire Emblem: The Blazing Blade. Known as the Angel of Death, he is an emotionless killer in the employ of Nergal until he is changed by the kindness of Nino, the first person he ever came to care for. "I am known as the Angel of Death." "Patrolling again, are you? That is the effective way to find spies and deter assassins."